At Forgotten China, we love to re-purpose old china pieces into beautiful and unique handmade jewellery creations. All our pieces are made from broken vintage china plates, cups, jugs and sugar bowls. They are sought after by vintage enthusiasts who love all aspects of vintage life, not just those who love vintage or antique jewellery exclusively. What we love about upcycling is being able to re-invigorate a chipped or cracked piece of china and see it come to life again as a wonderful bespoke piece of jewellery. Most of the china that we source has already been cast aside, boxed up, discarded and unloved for many years, yet each piece has its own unique history and story to tell. Taking a chipped fine bone china teacup and lovingly restoring it into teacup jewellery is an absolute pleasure. We love to see old china being used and admired once again. Our creations include pendants, necklaces, bracelets and earrings. Each of our pieces are hand cut and sanded to give them a nice smooth finish. 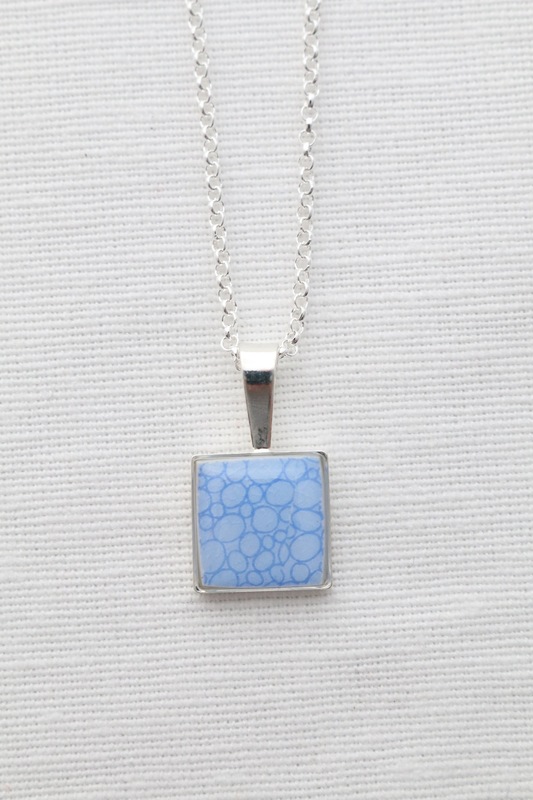 All of our pendants and necklaces also come with a sterling silver chain to complete the piece. Our china patterns vary and range from Royal Tara china pieces from Galway, to Arklow Pottery pieces from Wicklow. Arklow Pottery is no longer in production which makes one of our handmade Irish pottery jewellery pieces truly unique and a treasured token of Ireland. We source all of our broken china pieces from auction rooms across Ireland with a particular focus on indigenous Irish china patterns. If you have a piece of china collecting dust in your attic that you would love to see getting a new lease of life, we also take special commissions. The below products are a selection of Jewellery pieces available for purchase. Full Range of pieces available Here.